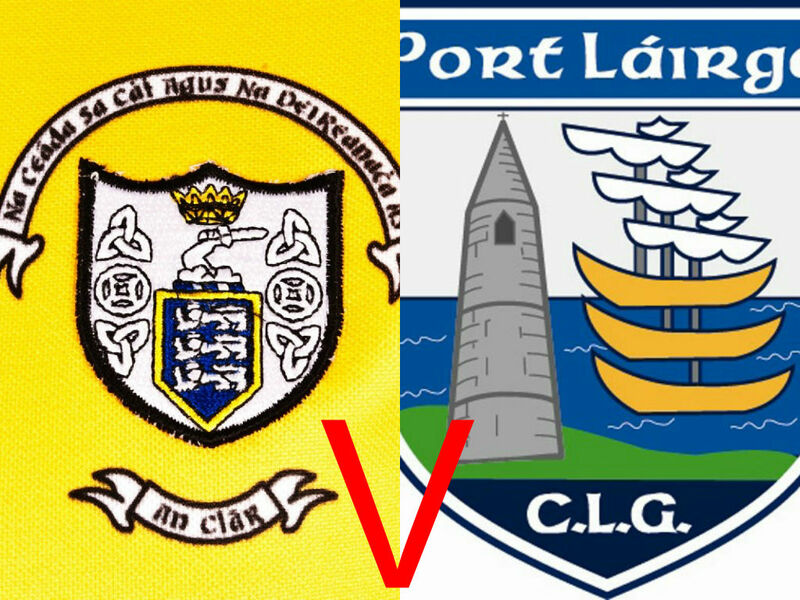 Clare v Waterford 19:30 on 25/06/14 in Fraher Field, Dungarvan. For the first time this year, it’s knockout for both teams. They met earlier on this year on the ninth of April where Waterford came from behind to secure a 1-13 to 0-11 win in Cusack Park, Ennis. Since then Clare have dispatched of Kerry and Tipperary in the round robin series to set up this semi-final clash. Waterford have not been sitting idle since April, they have played challenge matches against Kilkenny, Galway and Dublin, beating the Cats and Tribesmen but losing to the Dubs twice. All of these games were played at championship intensity, so for those thinking the extra games will give Clare an advantage over Waterford, throw that thought out the window. Yes, it gives Clare an advantage as new players were tried out and lads adapted to inter-county standard, but it doesn’t give them an upperhand over the Deise as they have plenty of experience from their All Ireland winning season gone by and the success these players have enjoyed at college level. Waterford make five direct changes from the team that beat the Banner back in April with numerous positional switches. Centre-forward from the Waterford All-Ireland winning minor team of 2013, Colm Roche comes into the side at centre-back allowing Shane Bennet to move to wing-forward. Elsewhere, MJ Sutton comes in at full back in an effort to combat the influence of Clare’s Aron Shanagher, Michael Cronin at corner back, Jack Mullaney at wing back and Aaron O Sullivan at full forward. Clare make one change in personnel from the side that accounted for a twelve man Tipp team. Ben O Gorman of Wolfe Tones na Sionna comes in at wing back with corner forward Liam O Donovan, the man to lose out. The move sees David Fitzgerald go to midfield and Kilmaley’s Paraic Mc Namara reverts back to the corner forward position. Eamon Fennessy is in his final year as manager of the Clare minors and he has no intention of letting Wednesday’s clash be his last. Contrary to this, Derek Lyons is in his first year in charge of Waterford and he has no objection of giving up their crown as All Ireland Champions. Back in April, Clare let it slip, they relinquished their lead and Waterford punished them for this and came from being three points behind entering the final quarter to secure a five point victory. Clare cannot afford to make the same mistake in Dungarvan, in what is their first match away from home. Jason Loughane has been very impressive for the Banner between the sticks, only conceding one goal in the three championship ties, a goal which resulted from a mistake by the Clare defence. Clare will be hoping talisman Aron Shanagher continues to perform and he will be aiming to add to his tally of 4-26. Clonlara’s Ian Galvin and Jason Mc Carthy of Inagh/Kilnamona are also strong performers along with Michael O Malley who is picking up a lot of breaks around the middle of the field. Waterford are the favourites going into this clash, the general consensus is that this Waterford side didn’t perform when in Ennis yet still managed to win and that they are now going to advance to the Munster final. However, this Clare team are capable of proving this theory incorrect. Waterford were sharper and more confident the last day, make no mistake Alan Cunningham and Kenny Morrissey will have this problem fixed for tomorrow’s showdown. An area of concern for Clare is the amount of frees they have conceded. Seventeen points have been scored by Clare’s opposition in their three championship outings and in Patrick Curran Waterford have an able freetaker. One thing Clare have been lacking in is hunger and desire. However, should they show a greater fight in Dungarvan and good discipline, the Banner will be victorious. Both sides have named their teams for the affair. Clare: Jason Loughnane (Sixmilebridge), Ciaran Cooney (O Callaghan’s Mills), Seamus Downey (Clonlara), Rory Hayes (Wolfe Tones), Jason Mc Carthy (Inagh/Kilnamona), Dara Walsh (Éire Óg), Ben O Gorman (Wolfe Tones), Michael O Malley (Kilmaley), David Fitzgerald (Inagh/Kilnamona), Colin Corbett (Tulla) Michael O Shea (Smith O Briens), Ian Galvin (Clonlara), Paraic Mc Namara (Kilmaley), Aron Shanagher (Wolfe Tones), Brian Guilfoyle (St Josephs Doora Barefield). Waterford: Billy Nolan (Roanmore), Eddie Hayden (Ballygunner), MJ Sutton (Ferrybank), Michael Cronin (Ardmore), Conor Prunty (Abbeyside), Colm Roche (Shamrocks), Jack Mullaney (Stradbally), Darragh Lyons (Dungarvan), Andy Molumby (Cappoquin), Shane Bennet (Ballysaggart), Conor Gleeson (Fourmilewater), Cormac Curran (Brickey Rangers), Peter Hogan (Ballygunner), Aaron O Sullivan (Cappoquin), Patrick Curran (Dungarvan).